For his first solo exhibition in Scandinavia (17 November 2017 – 15 April 2018), the artist presents an installation of his Hub works along with the video My Home/s, 2014-2016. 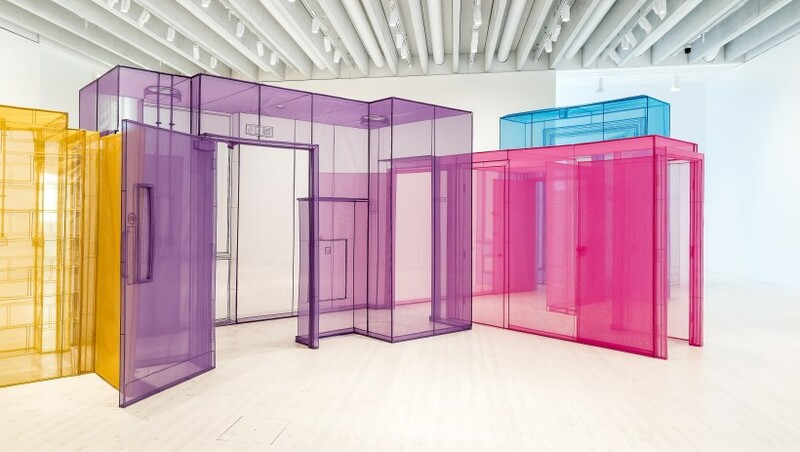 Inspired by his peripatetic life, Do Ho Suh has long ruminated on the idea of home as both a physical structure and a lived experience, the boundaries of identity and the connection between the individual and the group across global cultures. Meticulously replicating the architecture of the places in which he has lived and worked, such as his childhood home in South Korea and Western apartments and studios, Suh’s one-to-one scale translucent fabric structures give form to ideas about migration, transience and shifting identities. These ideas are further conveyed in his Hub works, where transitory, connecting spaces between rooms, such as vestibules and corridors, speak metaphorically about movement between cultures and the blurring of public and private, as well as reflecting on the passage of the artist’s own life.